Blake Snyder’s Save the Cat! provides a kind of anatomy for the skeleton of the screenplay – 15 beats (plot events) which he claims belong in every good story. It’s a pretty ballsy claim – and one I want to question by looking at his 4th beat: the Catalyst. Cut it down and put it where it belongs: Page 12. … If it’s not there, the reader will get antsy. Your coverage will read: “No Plot” because you’ll have lost the reader’s attention. Page 12 – Catalyst. Do it. At Minute 13, Jerry gets a call. Wade might go for a business deal he proposed that we know might save him – and eliminate the need for the kidnapping. Isn’t this the opposite of a catalyst? I mean, it doesn’t set the story’s wheels into motion at all – actually, it threatens to halt them. If the Catalyst is the device which initiates the change into Act II, then isn’t the first scene (where Jerry organises the kidnap) really the film’s catalyst? This would mean that the Catalyst truthfully takes place on the 2nd minute, rather than the prescribed 12th. So why is this not a problem for either of the aforementioned movies then? Lock Stock and Fargo are both very enjoyable films, both ranked in the IMDb Top 250, both critical and commercial successes. Well, I’d offer ‘scope’ as one answer. The longest months of my life were the ones during my year out, when I spontaneously decided to reapply for university. I knew that I had 13 months to fill but I didn’t know what to fill them with and, other than working to raise money, didn’t have any short-term goals. This feels like a good analogy for a bad screenplay. Audiences are constantly asking “Now what?” and always need the promise of change. If a story looks like it’s going nowhere, they disembark. To me, this is a big mistake that’s often made by the “Psychological Thriller” genre. Such films are usually about a character coming to terms with something or wrestling with his soul. However, people tend not to have much of a plan of action when it comes to soul-wrestling. 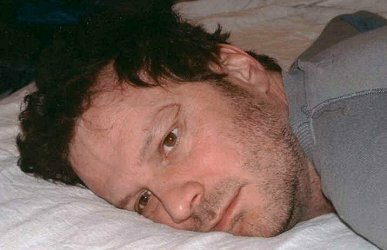 The result is Colin Firth lying about in a bed and looking at ants for 10 minutes, after which he probably feels more lively than you do. With this in mind, I’d make sure every scene has a new expectation to it. And if it doesn’t, add something which points to newness on the horizon, suggests impending change. Well, okay. This is a bit hypocritical of me. I love dialogue-heavy movies and hate the notion that everything must contribute to the plot or be deleted. There are, of course, other ways of making sure the audience don’t abandon ship: funny or engrossing discussions, stylish editing, beautiful camerawork. I think the first 10 minutes of Family Guy tend to be completely irrelevant to what the episode’s ‘about’, relying only on comedy to persuade you to stay with them. I’m just saying that it’s generally helpful to think of the audience as the annoying kid who keeps asking if “we’re there yet” without getting anorexic about your soliloquies. Well, I suppose you could argue that we just haven’t figured out the rules yet. But I agree, I find the absoluteness of screenwriting ‘how-to’s very dogmatic. Certainly, a series of guidelines would be more appropriate. My hope is that human experience is rich enough that no rules exist. There seems such variety of tastes that it’s hard to fathom what rules could exist. Guidelines is a very good way to put it, I think. Which is not to say you can’t create strong guidelines, even “rules,” for successful works; that’s mostly a matter of trying to match popular tastes (and even there, we have surprising successes and surprising flops). But I draw a big, black line between “successful” and “great,” and it is the latter where I think rules may be impossible. “When does the inciting incident (catalyst) should occur? when the viewer has all the information he needs in order to have a full response.” Robert Mckee – Story. This is the best explanation I ever came across to the difference we see in various movies placement of catalyst. What Mr. Mckee later says is that if your story is dealing with a basic problem everybody can understand than the inciting incident (or catalyst) should happen immediately. Eg: Fargo, Asking two criminals to kidnap your wife for ransom can happen in minute two because the viewers need no setup to understand the impact that action can have on the protagonist’s family. OR, Kramer vs Kramer, two people get divorced, happens on minute 2, cause the viewers need no setup to the repercussions of that action as well, so the story can “start” imminently. As in the case of lock stock, in order for the viewer to get the full affect of the inciting incident (the threat) they need to understand the world the characters are being threatened by, hence only after all characters have been introduced and the card game has been played, at minute 29, the threat can start the “real story”. Another thing to remember is that the inciting incident (catalyst) has a direct connection to the climax. Fargo: asking to kidnap the wife -> the family is destroyed (wife and dad dies, and husband imprisoned) or Lock stock: A threat from the criminal world -> all the criminals are killed and cannot threat anymore. This is a much better way to look at the positioning the catalyst. When does the inciting incident (catalyst) should occur? when the viewer has all the information he needs in order to have a full response. So it seems fair to say that we don’t have a “full response” to this inciting incident. Another thing to remember is that the inciting incident (catalyst) has a direct connection to the climax. That certainly sounds true to me, I’ll try and think up some counterexamples though. If we say that ‘Climax = Resolution * Emotional Intensity’, it seems to follow that the climax is resolving what the catalyst began. I’ll have a think about it though. So it’s not always about setting things in motion. The setup in Fargo is Jerry’s crazy plan because that’s his world- desperation. The Catalyst is the phone call Jerry gets because it should negate his plan. You’re going about it wrong. You’re going into this with the belief that it will be wrong, and then nit-picking and seizing on little details to “prove” that it’s “wrong”. I would say that a level of skepticism is healthy going into this sort of thing — but actively trying to come up with counter-arguments while you are reading something is not conducive to true understanding. Especially the semantic thing of criticizing the names for not accomplishing things that Snyder specifically says they won’t do (acting as if he doesn’t make the point that an “All Is Lost” moment can in fact be a false “All Is Won” moment doesn’t make you come off as smart, it makes you come off as illiterate). Take a step back for a second; the point of the rules is *not* “this is the best way to tell a story”. The point of the rules is “If you arrange a story in this way, it will maximize the emotional impact of the story.” Once you understand it, you then understand how to apply the rules; when the proper “Catalyst” of the story takes place earlier than you think the screenplay should start, you still need *something* to start the lead character down the path called “Debate” leading up until the moment of no return Act Break (“Break Into Two”, I think he calls it?). Oh no, believe me, I’m not. I was a devotee of Snyder’s as a teenager. I even attended his London seminar in 2007, which cost me £300 (i.e. 7 days of scrubbing pans in a kitchen at the time.) If I could be accused of approaching Snyder’s work with a narrow mind, it’s because I accepted what he said too unquestioningly. I’d agree if that were my main criticism of his work. But it isn’t, it’s just an off-the-cuff criticism in a comment response. And it’s a fair criticism too. If you’re going to write a manual of any kind, don’t give concepts names that often contradict what they actually stand for. Having been to a STC seminar, I know that there are a good proportion of people who think “something terrible has to happen on Page 75”. How? The phone call doesn’t set the story in motion or “knock down” the world the Coens have previously established. If anything, I’d argue that what you’ve just said implies that there isn’t a Debate beat either. Hmm, okay – then what is the difference between those two concepts for you: ‘telling a story the best possible way’ and ‘telling a story to maximize its emotional impact’? I’m not denying there’s a difference between these two ideas, I’m just curious as to what you think it is.